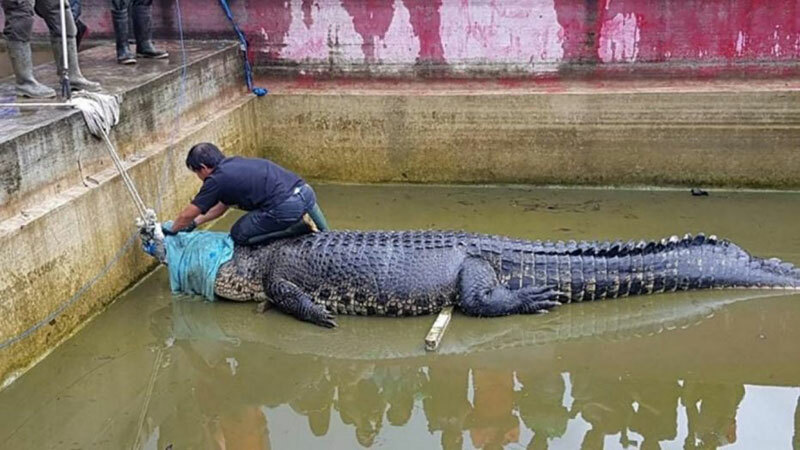 A 14-foot crocodile that mauled an Indonesian woman to death was illegally being kept as a pet at the facility where it happened, officials said Wednesday. Deasy Tuwo,a 44-year-old the head of a laboratory at a pearl farm in North Sulawesi, was feeding the crocodile in its enclosure on Jan. 10 when she was killed by the 1,500-pound reptile. It was not immediately clear if she fell in the enclosure or if she was dragged by the animal.